On this page we would like to tell you about what trade compliance obligations you should be taking into account being a producer in the Machinery & Equipment industry regarding Export documents, Environmental obligations, Customs obligations, VAT declarations & Intrastat declarations. For Machinery & Equipment, HS classification is mainly important for composed products. Finished goods can be differently classified than loose components. This affects import duties. Therefore, it is of importance to determine the correct classification per product. Our specialists help you optimize your classification process by giving advice on possible cost savings and prevention of risks (in case of incorrect classification). Monitoring the correct use of HS codes by your ‘brokers’ is important as well. This is often a time-consuming job. Pincvision can help you to secure/improve the quality of your broker(s). For instance, through our Pincvision "Global Broker Window" (GBW) solution. When talking about the determination of origin for Machinerey & Equipment, a distinction is also made between spare parts and finished goods. Our origin specialists can help you setup a solid origin process, from determination to the management hereof. They will tell you everything about the possibilities regarding preferential origin in relation to trade agreements and thus applying the preferential tariff to save costs. Next to this, Pincvision is also specialized in the classification of goods and the determination of the origin of these goods. The Waste Electronic and Electric Equipment (WEEE) Directive for Machinery & Equipment applies only to finished products, not to components. The implementation of this directive may vary from country to country. As a manufacturer of machines and tools you must take into account that all end products with a plug fall under the scope of the WEEE directive. The battery directive is applicable to built-in batteries and subsequently delivered batteries. When you exceed the applicable threshold in a country, you are obliged to submit battery declarations on a periodic basis. For example, an electric drill. Primary packaging contains the first product packaging of the item. For instance the box in which several separate screws are packed. Secondary packaging includes the packaging that is used to group various pre-packaged (primary) products together. 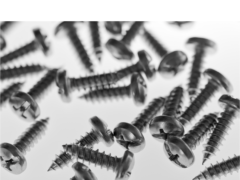 For example a large cardboard box containing several small boxes of screws. Tertiary packaging: contains the transport packaging that protects the goods during the transportation. You can think of cardboax boxes that are moved all together on one pallet. The plastic wrapping around the boxes and the pallet are considered tertiary packaging. In order to make your environmental compliance process quickly and faultless, it is very important that your source data is in order. This data is used to extract the required information for the declaration in the country of destination. Our team of Compliance Analysts can assist you to enhance and enrich your data and then submit your periodic declarations with the authorities. This optimizes the speed and quality of your processes and makes sure you timely meet your declaration deadlines. With respect to import, you should carefully consider the deductibility of the import VAT that is due for the application of different national rules for VAT and postponement. More specifically for the Machinery & Equipment industry, it must be taken into account that installation rules may apply. This means that you are liable for VAT in the EU country of installation / assembly. Possibly also a transfer may apply.